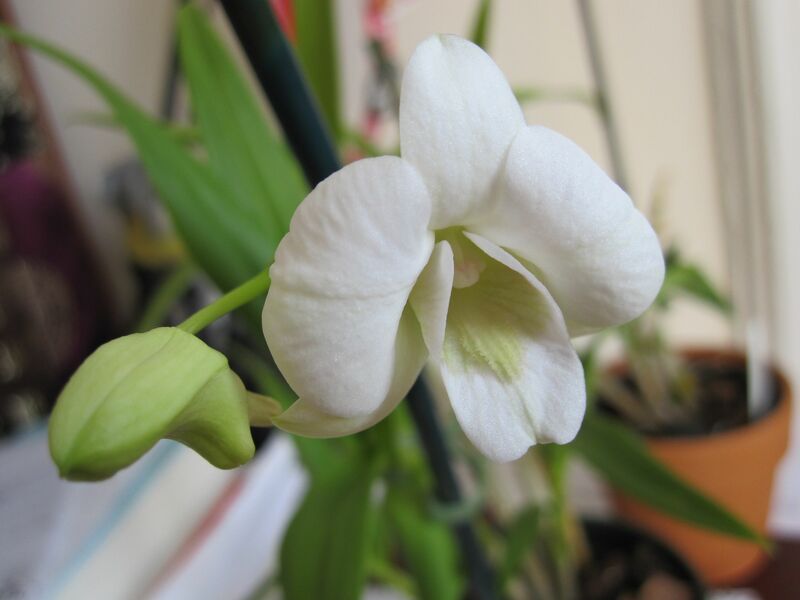 My Mystery Dendrobium Has Bloomed!! As you can see, a second bud is developing so this bloom will soon have a buddy. At this point, it only looks like the spike is putting out two blooms. Hopefully it will produce some more in the future! 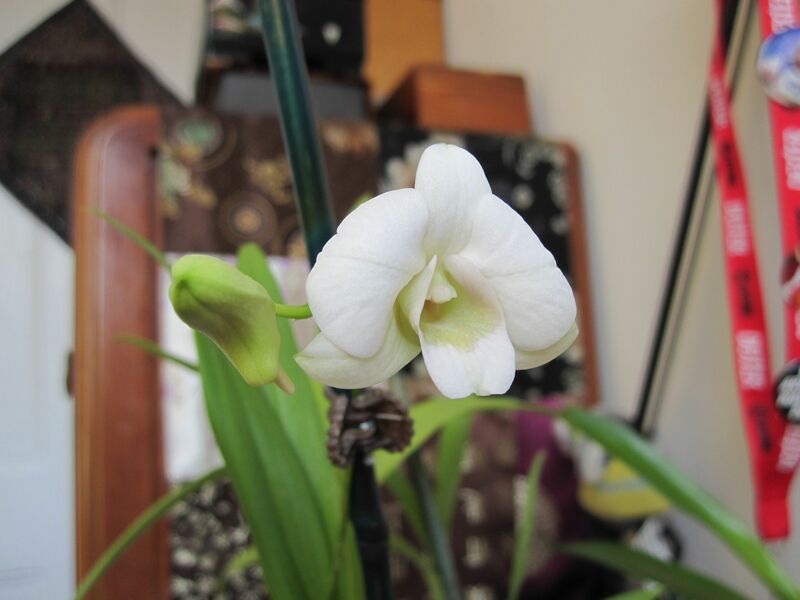 I am so proud that I’ve kept this orchid healthy enough to bloom for me! The other orchid that I bought at the same time, an odontoglossum, bit the dust awhile back. OK, back to resting and drinking lots and lots of water. Once I’ve fully recovered I am going to get back on the orchid blogging horse and will work on updating more regularly!